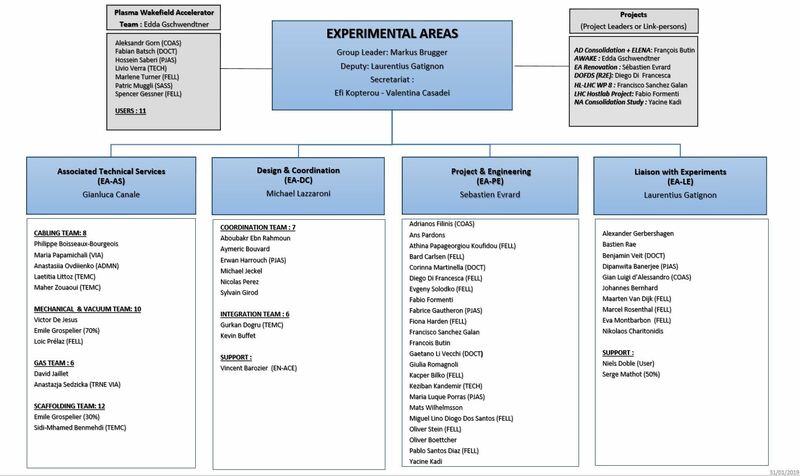 The EA Group in the Engineering Department is responsible for the beamlines, infrastructure and management of CERN’s experimental areas and provides engineering support and services including associated contracts. EA is furthermore supporting the LHC experiments and managing the respective ATS interface, as well as participating in and partly hosting the management of a number of CERN-wide projects. Maintaining the EN-EA infrastructures and facilities with a sufficient level of safety.